Spend less time clicking and more time sipping with savings up to 20%! 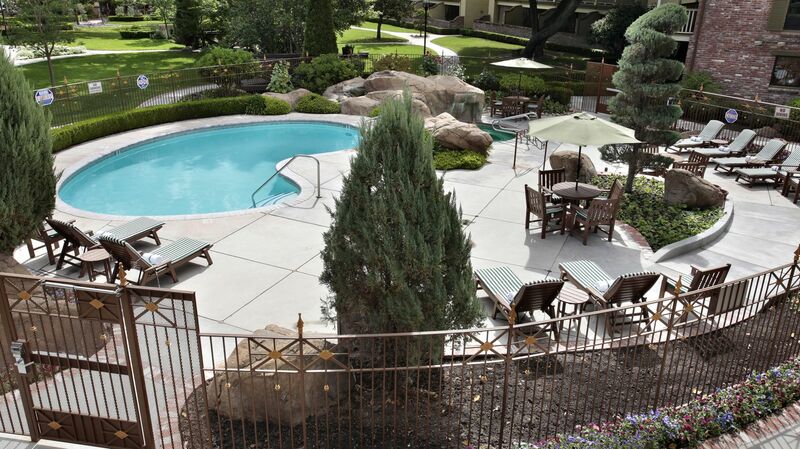 Save up to 25% when you book your room at the Paso Robles Inn 21 days in advance. The earlier you plan, the more you save! Overnight accommodations, wine tour with Wine Wrangler, tasting at 4-6 wineries, and a scenic picnic lunch for two. Book our Rise & Shine package and enjoy breakfast for two at our award-winning Steakhouse along with overnight accommodations. Offering the perfect blend of relaxation and excitement, Paso Robles Inn provides idyllic getaways for all. Our romantic Paso Robles boutique hotel is situated in the heart of California’s wine country, with unmatched access to shopping, dining and entertainment. Whether you’re seeking a romantic getaway or want to enjoy some fun with the entire family, our area offers endless options for recreation. During your stay don’t miss a trip to the iconic Hearst Castle, premier Paso Robles restaurants, and other nearby attractions. 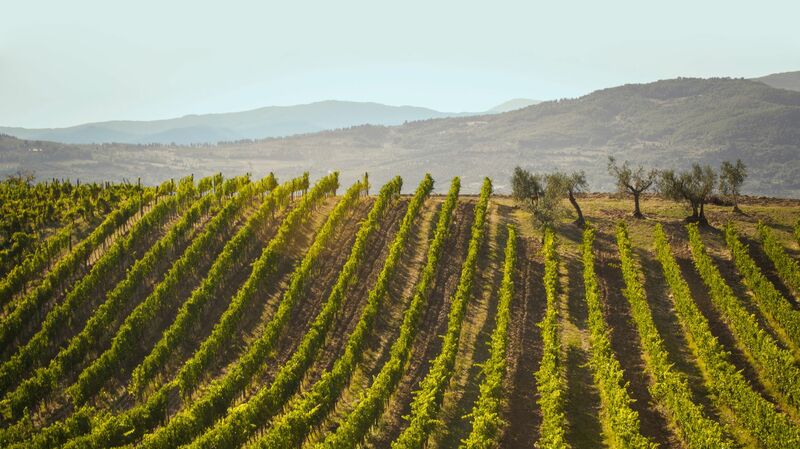 Visit Travel Paso to learn about the endless possibilities that await just outside your door. Each of our guestrooms offers an inviting space to relax and rejuvenate after an exciting day. 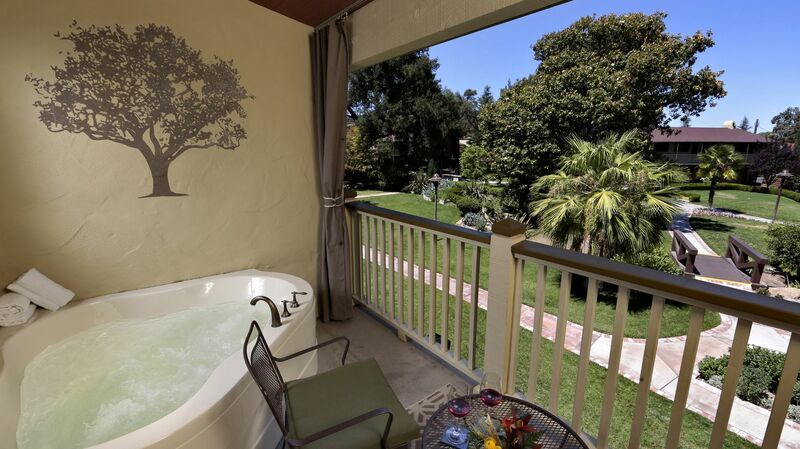 Indulge in your very own private hot tub as you’re greeted by amenities you won’t find at other hotels in Paso Robles. Offering picturesque views and unique access to the area’s most sought-after attractions, Paso Robles Inn is considered a standout among Paso Robles hotels. Wine lovers rejoice when staying in one of our 18 wine-themed rooms, offering an inside look at California’s wine country. Amenities mimic the comforts of home, providing guests an elevated experience in Paso Robles. Be greeted by a heated outdoor pool and Jacuzzi, a fully-stocked library, electric car charging station, beautiful garden area with babbling brooks and Koi ponds before entering your room where you’ll enjoy Bath & Body works toiletries, plush robes, wireless Internet and a 37” flat screen TV with digital cable. Business and leisure guests alike enjoy the comfort and convenience of a large work desk, business center, onsite restaurant and central location of Paso Robles Inn. As an idyllic setting for banquets, weddings, conferences and other occasions, our team is proud to focus on every detail to make sure that your event is a huge success. Discover for yourself what makes Paso Robles a chosen destination and enjoy an inviting stay at Paso Robles Inn. 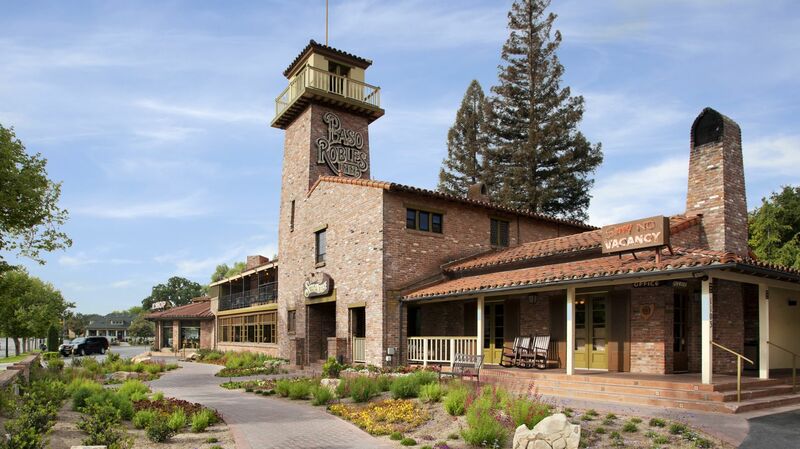 Your Central Coast getaway starts at Paso Robles Inn, a standout among Paso Robles, CA hotels. Offering a premier setting in the heart of California’s wine country, near the area’s best shopping, dining and events in Paso Robles, our property aims to offer a setting for memorable trips for couples, families and business travelers alike that stands out among Hearst Castle hotels. Soak in your own private spa tub when you stay in our winery-themed deluxe Paso Robles spa rooms. These deluxe guestrooms offer all of the services and amenities available in our other lodging options plus a unique atmosphere that embraces the intimate wine excursions you can enjoy on your trip. For a truly authentic experience discover an infused guestroom that offers a cozy place to nestle next to a crackling fireplace in a plush bed. If you're visiting Paso Robles, look no further. This is the best place to stay. Convenient, comfortable, clean, and very accommodating to the needs of their guests. Second visit to this Inn. Love the spa tubs on the balconies! The rooms are comfy and cozy and each has it's own unique decor. The Paso Robles Inn has the best location of anywhere around Paso Robles. Dining at the Inn is where you want to be. It is quiet and comfortable and the staff makes you feel right at home. Perfect location for a getaway or business meeting. Old Paso charm with all the great amenities. I've been here many times since the late 1970s and every time has been a great experience. The location is the best on all of the Central Coast for lodging.